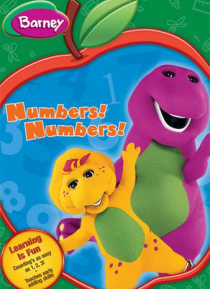 IHG® Rewards Club - Movies - Barney: Numbers! Numbers! Barney's friend Tony shows off a box of numbers that he and his dad made. When a gust of wind blows them away, Barney and his friends hunt for the missing numbers. Looking outdoors in the park and inside the caboose, they find that numbers are everywhere. And what's a number scavenger hunt without "Number Limbo" and "Six Shake Pudding?" With two more to find, Barney invites the viewers to help loo… k for numbers 9 and 10. Count on Barney to make learning super-dee-duper fun!